Abstract: Public relations work involves shaping, reflecting and communicating identity for organisations and individuals, and is in turn shaped by the professional identity both of the field and individual public relations practitioners. This paper explores these issues from the dual perspectives of sociologist Erving Goffman’s (1922–1982) reflections on the performance of work and Carl Jung’s (1875–1961) concept of Persona, the socially acceptable face of the individual or group. The former explores these issues through observation of external behaviours, the latter by engaging with the psyche. Goffman and Jung, despite their conflicting worldviews, offer a complementary understanding of the operation, internal and external, of professional identity. The paper, which is conceptual and interpretive, with the objective of building theory, summarises contemporary approaches to professional identity in public relations and other fields, before introducing Goffman, who is often mentioned in this context, and Jung, who is not. Together these two scholars offer insights into the interior and exterior aspects of identity, which is here applied to public relations, raising questions both about the production of identity as a commodity for others and the production of self-image of public relations practitioners. The introduction of Jungian thinking brings the inward or experiential dimension of professional identity to this debate. 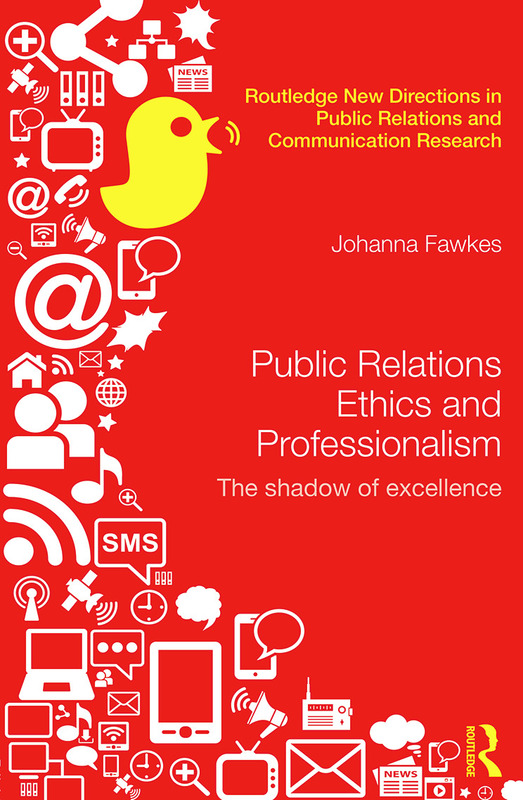 Abstract: Public relations ethics is confused and often superficial in its approach, relying heavily on traditional theory, with only occasional reference to more recent developments in professional ethics, particularly feminist and global ethical perspectives. This paper argues that the central ethical tension facing public relations as a field lies in its divided ethical identity, in particular between the idealized codes of conduct influenced by the US-based excellence project, which conjure images of wise counsel balancing duties to client and society, and practitioner-led expectations that they are advocates and should privilege clients over society. The paper touches on the wider context of professional ethics in the early 21st century from western and non-western perspectives, in order to frame current debates in public relations’ ethics. Taking a Jungian approach, it suggests that the saint/sinner models represent opposing aspects of an ethical identity or archetype which can only be resolved through self-acceptance and a willingness to embrace contradiction.